Installation Cayman Venture Ltd can offer clients a full installation service. This is usually performed on the clients site although in some cases this can be performed remotely from our Head Office. 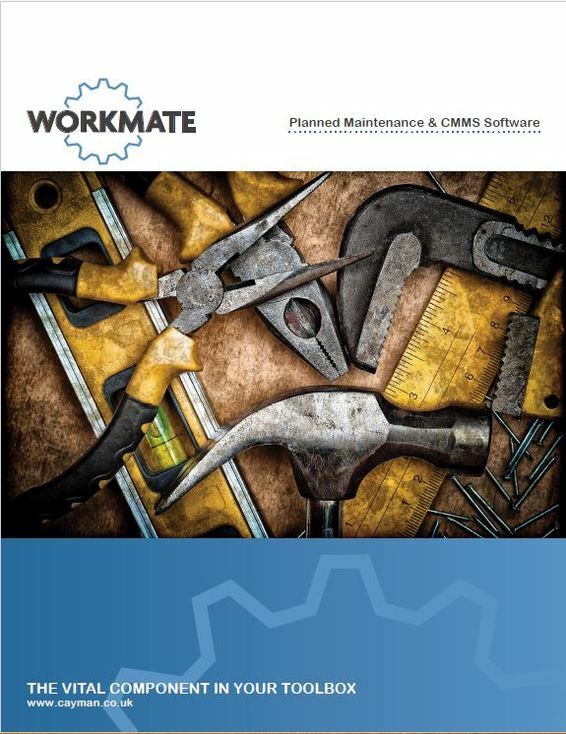 A full system configuration is performed offering the client instant access to Workmate and all of it’s features. Training Cayman Venture Ltd can provide training days which will be specifically tailored to suit the clients requirements. As standard every part of the system is covered, this includes Creating users and setting specific access for the user within Workmate. Building the clients Asset register. Creating scheduled tasks Scheduling PPM jobs. Raising breakdown/fault requests. Completing outstanding work. Spares implementation. History analysis and reports Implementation Cayman Venture Ltd can provide a total solution in implementing and developing a clients Workmate system. From expertise in creating a full site structure through to asset maintenance and knowledge of best practice planned maintenance across a wide range of industries. Support With a valid contract a client can take full advantage of our Technical support help line, this is available during normal business hours. This is available either by telephone, remotely or via a site visit. Cayman Venture Ltd also provide out of hours technical support upon request. The help line enables clients to seek advice and help on any features within the Workmate system.